What’s more, we still strongly believe that the most powerful marketing strategies combine a range of different media: direct marketing, PR, exhibitions, leaflets and brochures as well as the internet. We not only use tried-and-tested marketing strategies, but have many years’ experience in transforming businesses both online and offline. We only ever recommend the services that will give your business the best return on your investment. Whether you’ve got a modest budget to turn your brainwave into a business or you’re looking to take your established enterprise to the next level, we work with businesses of all shapes and sizes. After all, as a thoroughly modern business we’re not sizeist, shapeist, ageist or budgetist. We’ve just celebrated our 16th birthday, which means our business can legally drink in Austria, join a trade union, pilot a glider and change our name by deed poll if we so wished – but it also means we’ve seen everything the internet has had to offer in terms of marketing and mastered the art of maximising it alongside tried-and-tested traditional marketing methods. Here’s a heads up, if you are looking for B2B customers. LinkedIn has really upped it’s game in the last year or so. It is so much more effective marketing tool for business to business than other, more consumer lead social media platforms. Now you can enjoy a guaranteed flow of high-quality, new leads coming into your business each and every week! John has stacks of marketing experience… Working for a number of household names including Marks & Spencer, WH Smith and BP he joined Purchasepoint, the leading promotional agency. Fed up of making money for other companies he chose to go it alone, creating The Marketing Portfolio in the 90’s, before selling up in 2004 and establishing JCH Communications in 2005 and never looked back in anger! He has held a number of leading Industry positions, including Marketing Directory at The London Chamber of Commerce. Darrell was around at the very beginning of marketing on-line, from the early days of (very unsophisticated) SEO, through to the current day; Darrell has innovated and championed on-line for near on 20 years. Through driving international business through the web as Head of Digital for Arsenal Football club, to helping all types and sizes of business promote their services and sales, online. Darrell has a wealth of expertise and most importantly experience in the field, to bring to the JCH team. 25 years experience with clients have ranged from entertainment companies such as Disney, Hanna-Barbera, Channel 4 and Warner Bros to blue chip corporations and organisations like GSK, Nikkei, Nomura, CamRA and the Royal College of Midwives. Creator of the Big Idea as well as Illustrator, Graphic Designer, Web Designer, App Designer and general all around smart alec. 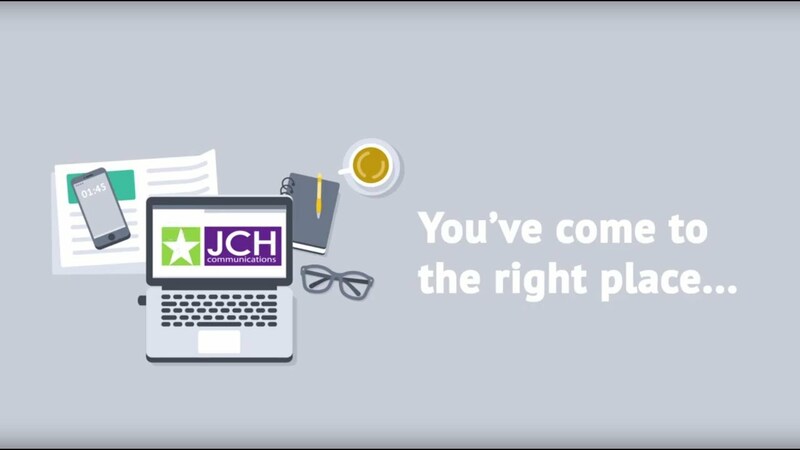 At JCH Communications, we feel that the most powerful marketing strategy is one that combines a range of different media: direct marketing, exhibitions, leaflets, emails, ads and brochures as well as Video and the Web. © Built with pride and caffeine by Reg @ JCH Communications. All rights reserved.